A SEPHORA GIVEAWAY AT THE BEST TIME !!!!! So you all know by now that I am doing an International Sephora Giveaway. (By international I mean that you can enter if you are anywhere in the world). If you were not aware of the giveaway you can check it out here. Entries will close on Thursday 21st September at noon. I was already excited about this giveaway but now I am even more excited since Fenty Beauty launched 10 days ago *screammmmssss – cue hysteria” . The funny thing is the reason I am excited is because whoever wins my giveaway can buy hot of the press Fenty Beauty items !!!! How exciting !!!!!!!! The excitement from the people on my facebook page is contagious and it`s made me want to do this blog post. Well these 2 blog posts. This is the first of those two blog posts. In this one I will be telling you which FentyBeauty items I would purchase if I won my Sephora giveaway of $100 US. Now just to be clear, I actually have a really nice makeup capsule at the moment , which I spoke about here , so if I won this giveaway I actually wouldn`t get many makeup products because then I would just feel overwhelmed and feel like I have to use up all my products somehow. BUT, since everyone is on a Fenty rampage right now I` ll join the fun !!!! So………..these are the products I would get from Fenty Beauty if I won !!!!! I actually looked at some reviews of the Fenty Beauty products and that helped me decide which items I think I would like best. 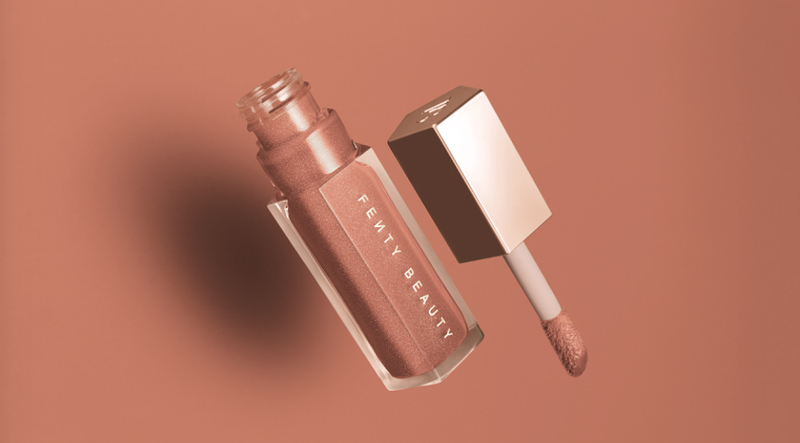 Check out this review that I really liked here : Fenty Beauty- Shameless Mya . The foundation looks lightweight and like it blends out really well and I love lightweight and barely there foundation so I think I will love this. And in terms of the match stix trio, I think I would probably get a concealer and two shimmer stix (maybe Rum and Sinamon). The packaging on this is so beautiful , elegant and well thought out. I love the fact that the match stix are magnetic and stick to each other ! Amazing !!!!! WELL DONE Riri girl. In my next post I will say what I would ACTUALLY get from Sephora if I won my giveaway, since I have sufficient makeup right now. Look out for that post this week ! So those would be my selections. Which Fenty items would you get if you won my Sephora Giveaway ? I would love the foundation and primer absolutely. especially the foundation it just seems like its just for people of colour without giving having to all the extra colour correction. and for someone who has to work at distance like me i don’t have to do much and not worry about drying time. Everybody wants that Fenty Foundation boy !!!!! ahahahaha Which highlighter though ? I would definitely be getting the primer foundation and highlighter (trophy wife) but the foundation is always sold out in my shade so the match stix trio would be my substitute until they restock. I like how you know your shade already too !!!!! Definitely the primer, foundation, trophy wife highlighter and splurge on a shimmer stick. Girrrrrl I got this figured out. I would get the match stix customizable trio set for 54, the pro filter foundation 340 for 34 and the gloss bomb. Im sooo ready. Love it !!!! ahahahahahah .Sadddeeeee !!!!! Yuh readddddyyy !!!! Which Match Stix would you get? For the match stix trio I’d get the sand concealer, mocha contour and Im indecisive between the rum highlighter and the sinamon. Yassssss. I like how you are getting a full face set. Foundation, contour, conceal, highlight, gloss- Full FACE BY FENTY !!!!!!!! I like what you picked too…..a full face. Cant wait to see who won….is it Thursday yet lol. ahahahaha. I know right !!! So Exciting !!!!!! 😀 😀 😀 😀 😀 . I`m selecting the winner on friday though, not thursday .